The woman who survived the shooting at Ruthanne Lodato's Alexandria home took the stand Thursday, recounting the moments after Lodato was gunned down at her front door. Lodato was shot to death on Feb. 6, 2014. 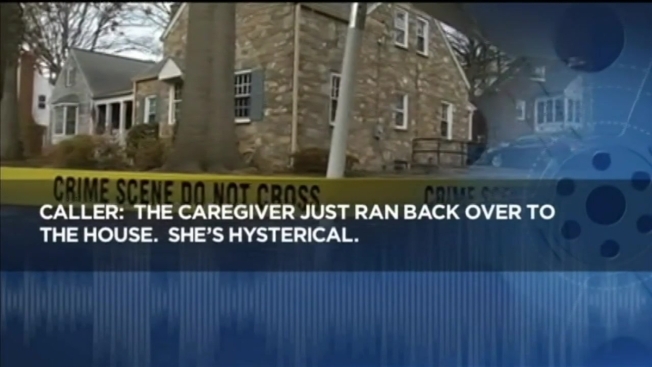 Her mother's caregiver, Dorcas Franco, was also shot, but survived the shooting. At Thursday's hearing, Franco described what she saw the day she and Lodato were shot. Franco said she was in the bathroom with Lodato's mother when she heard the doorbell ring. She then heard a loud noise that sent her running to the front door. "I saw this man. I fall down and he shoot," Franco testified through tears. "I was screaming so loud. As I screamed, he ran to the door, and I ran to the back door to get some help." Franco said she went to a neighbor for help, but returned to the home for Lodato's mother. "I grabbed the old lady and bring her through the door," Franco testified. She then told the neighbor that she had to check on Lodato. "I ran back to the front door. I was calling her name, and she said, 'Call 911'," Franco said. At the end of her emotional testimony, the judge called a recess, and Franco ran from the courtroom sobbing. Her loud cries could still be heard from inside the courtroom, Northern Virginia Bureau Chief Julie Carey reported. Earlier in the day, a detective testified that Franco could not positively identify Charles Severance as the shooter. The detective said he went through six booking photos with Franco, including a booking photo of Severance from West Virginia. When Franco saw Severance's photo, she studied it carefully and mentioned that the man who shot Lodato had a shorter beard and shorter hair. She said "no" to the other five photos placed in front of her. When the detective went back to Severance's photo, Franco said she was "not sure." An identification expert called by the defense testified that the photo lineup the caregiver saw was not constructed properly. But the judge ruled that the photo lineup, created based on Franco's description of the shooter, would be allowed at trial. The judge also denied the prosecution's request to use a video they made of Severance's car driving near the murder scene. The judge also decided not to exclude a prior gun conviction from the trial and denied a defense request for a second competency hearing for Severance. The defense argued Severance won't leave his cell to meet because he think's it's dangerous. When Severance heard his attorney talk about a psychological exam, he said he didn't want one because "he's a mad doctor." "Your honor, where is the jury?" Severance asked at one point during the hearing. The judge told him there are no juries at hearings, and the proceedings continued. Severance, who once lived in Alexandria, is charged with Lodato's murder and those of two other prominent Alexandria residents, Nancy Dunning and Ron Kirby. All three were high-profile members of the community, gunned down at their front doors. The defense sought permission to look around the three victims' homes, but the judge denied access to crime scenes.